Dan Davis, CPA, CFE, MBA (Taxation), is a founding partner of McClellan Davis, LLC, a sales and use tax consultancy firm. Dan has practiced in the tax field for over 35 years, beginning his career at the California State Board of Equalization, where he worked as a senior sales tax auditor, branch office supervisor, and district audit reviewer. After leaving the California State Board of Equalization, Dan practiced extensively in the sales and use tax field, accumulating decades of experience with both California and multistate sales and use tax issues. 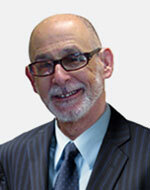 Dan has authored two major reference books on sales and use tax matters. Multistate Guide to Sales and Use Tax Audits and Multistate Guide to Sales and Use Tax: Construction are published by CCH, Inc. and are updated annually. Dan has also taught and lectured on a variety of tax and auditing topics at graduate and postgraduate levels. He earned his BS in accounting and finance at San Jose State University in San Jose, California, and his MBA in taxation at Golden Gate University in San Francisco, California. Dan is a self-study course author for Western CPE.